In the summer following my graduation from high school, I spent six weeks at Pendle Hill, a Quaker center near Philadelphia. Pendle Hill gave me a holistic education. I developed a practice of exercise, and to notice how my body responded to different kinds of food and activities. I participated in extended periods of silent worship, and I began a regular practice of journaling, which I continue to this day. I learned to look beyond surface-level facts and see what was happening at a deeper level. Beginning that summer and continuing over the next couple of years, I became increasingly self-aware. I came to realize that neither my emotions, nor my body, nor my conscious mind were all of who I was. At first, I experienced this realization as a distressing sense of disconnection. If my body was not who I was, nor my emotions, nor my mind, then who was I? Eventually, I became aware of a part of myself that was neither mind, body nor emotion. Physically, I experienced it as being centered in my breath. It felt like a hollow, receptive place where there was both emptiness and fullness. Inexplicably, in the emptiness of my breath, I identified the core of who I really was. Strangest of all, I developed a capacity to be aware of myself almost like an outside observer. I took note of the signals my body was sending me, but I chose how to respond from the center. I experienced emotions flooding over me – but my awareness ran deeper than the emotions, and I could decide how to react. I studied my thought patterns with interest, realizing that even my own ideas were just like the signals that came from body and emotions: important, worth paying attention to, but not defining me. 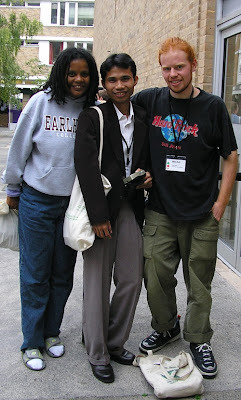 It was with this budding awareness of my interior landscape and my deep thirst for truth and meaning, that I graduated from college in the spring of 2004. I became an intern at the Casa de los Amigos, a Quaker center in Mexico City. There, I had the opportunity to study Quakerism in depth and to participate in silent worship with a local Quaker congregation. In the silence, my interior awareness exploded. 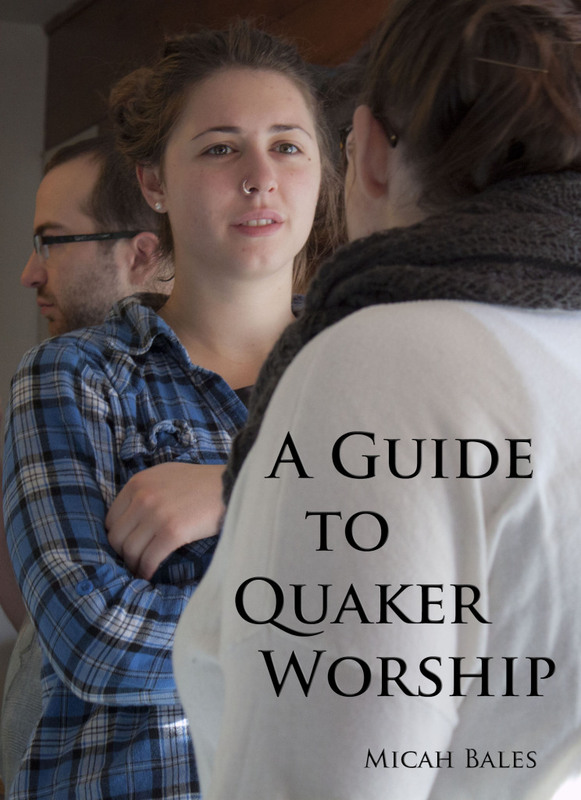 In Quaker worship, there was nothing for me to do except attend to the holy center. I waited in the empty space within my breath until I discovered that it was not empty at all. There was something alive and moving in the midst, something that came from beyond me and was far greater than anything I could imagine. As I waited in stillness, I discovered that the God I had looked for everywhere else was here, waiting for me, in the core of my being. In the darkness, there was Light; in the emptiness, infinite Substance. And this Substance was teaching me! It showed me the truth about myself, revealing the places in my body, mind and emotions that were broken. From the inside out, this miraculous Presence began to heal and transform me. I know now that this loving Presence within me is the Holy Spirit. I understand now that this receptive place within my breath is like the holy of holies in the ancient Jewish Temple, the inner sanctuary where the very presence of God resided. I have learned both from Scripture and in my own experience that, when I accept this inward Substance and Presence into my life, I become part of the Temple of God. Experience has also taught me that this inward Holiness will not be confined to the innermost sanctuary. This Life and Power is like a fountain springing up within me. It fills my spirit, mind, emotions and body, transforming and uniting all of them in their common Source. Amazingly, I am learning that I am called to be so filled with Christ’s Spirit that I am remade in his likeness. As that empty space within me is filled, my most profound identity becomes the very person of Jesus, and I myself become a child of God, co-heir to the promise. Perhaps I am speaking in terms that seem mysterious. It is true, these realities are mysterious! Human words stumble in expressing their depths. Yet, ultimately, these things are not to be explained, they are to be lived into. Furthermore, the experiences that I have described do not have to be accepted as mere beliefs. Check and see for yourself. Anyone can test these observations – if they are willing to look within and bear the distress of self-knowledge. This awareness does come at a price. Though it is available to everyone, our tendency is to flee from the inner life. It is just too painful to see ourselves as we really are. It is no coincidence that the ancient Hebrews begged Moses to go up and speak to God for them. They knew very well that to see God means to die. Yet, for those who have journeyed to the inward mountaintop and stood in the presence of God, the pain of transformation is nothing compared to the depths of joy and peace that God gives us as we are remade in the image of Christ. As we allow the Presence to flow out from the holy of holies, we are clothed in God’s humility and gentleness, truth and mercy, love and justice. The road is long, and great challenges accompany it, but to begin is simple. The way to God’s presence lies within. In the apparent emptiness of our breath – this holy center – we can welcome God’s beautiful Life into our innermost parts. This transforming Power is available to everyone, if we will seek it. Tomorrow is the day that the Christian community celebrates Pentecost, the birthday of the Church. 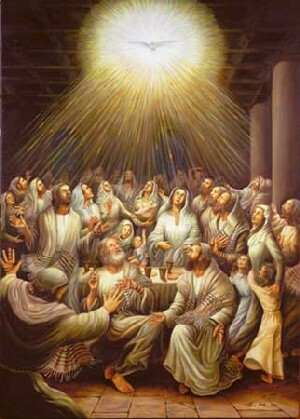 It was on Pentecost that the followers of Jesus in Jerusalem received the Holy Spirit. The Spirit’s coming united the early Christians at the deepest level, in a living experience of God’s presence and power. They were transformed from a loose collection of individuals into a new creation, a vibrant community that was of one heart and one mind. Jesus sent the Spirit of Truth, just as he promised, and this Spirit-filled human community became his continuing presence in the world, the Body of Christ. This year, the celebration of Pentecost falls on Memorial Day weekend. This unusual alignment of these two days of remembrance has spurred me to do some thinking about the relationship between Memorial Day and Pentecost. The former is traditionally a celebration in remembrance of those who have given their lives in military service, while the latter commemorates the in-pouring of God’s Spirit into the world. Many Christians will celebrate these two days side by side, without any sense of contradiction. I cannot do that. As a Quaker, I believe that when Jesus Christ disarmed his disciples in Gethsemane, he disarmed the Church. I believe that when Jesus died on the cross, he set an example for those who would follow him – taking on suffering rather than inflicting it, blessing those who curse us. As a follower of the Crucified Savior, I must remember the martyrs – those who sacrificed their own lives, possesssions and comfort in order to demonstrate God’s love to a world in pain. This Memorial Day, I will remember the faithful servants who have gone before, joining Jesus in blazing the trail that I now walk. 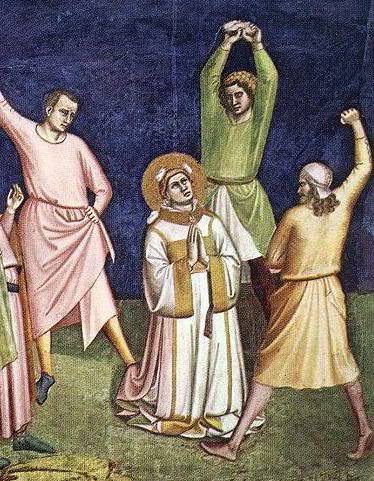 I will remember those like Stephen, who was put to death for his witness to Christ’s love and justice. I will give thanks to God for the faithful service of Paul of Tarsus, Francis of Assisi, George Fox, James Nayler, Edward Burrough, Margaret Fell, Tom Fox, and all those who have suffered for the Truth. Whether by a martyr’s death or simply through handing their entire lives over to the work of Christ in the world, they paid the ultimate price for their faith. I will remember the way that so many have laid down their own privilege and comfort to serve the poor and the lost. And I will remember how I was one of those lost ones. I will give thanks for the grace these servants of God showed, loving me in spite of all the ways I pushed them away. I will remember Dorothy Craven, who lived a life of simple faithfulness and gentle love for all people. I praise God for the way she laid aside her comfort and walked in faith with the Friends of Jesus commmunity in Wichita, Kansas. She served as an elder to us, a mother in the gospel. She introduced me to the writings of Thomas Kelly and taught me Algebra, even though I was probably the most frustrating student she ever had. She loved me when I did not deserve it. She believed in me when there was no good reason to do so. She was Jesus to me. Dorothy has now joined that great cloud of witnesses that surrounds me. Sitting at Jesus’ right hand, these faithful witnesses call me forward. They spur me to greater courage and vulnerability in love. They are my heroes, and I experience them as being somehow, mysteriously alive in the Spirit that unites us. 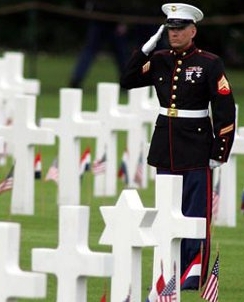 This Memorial Day, I will remember these holy ones who stand, unarmed, by the throne of God. Together with Jesus, they call me into a life of fearless love and peace. This Pentecost, I will celebrate the Holy Spirit that unites us beyond life and death. Who are the witnesses that call you forward? The ancient society where Christianity emerged consisted of a wide variety of local cultures, all united under Roman rule. Greeks and Jews mingled, and the cities of the Empire allowed a cosmopolitanism that had rarely existed before in Western history. The early followers of Jesus were challenged to share the gospel message in a context where all truth was relativized under the coercive power of the Roman state. In that society, people could worship whatever gods they chose – so long as they also worshiped Caesar. I also live in a society where people worship a variety of “gods” and participate in many subcultures and lifestyles. Yet, just as was the case in ancient Rome, the modern-day empire I live in is held together by a set of common assumptions. Although no one is required to literally worship the State or its rulers, this society is held together by the veneration of wealth and the exercise of political power. All of us, from smallest to greatest, are caught up in an economic and political system that demands our allegiance just as surely as Caesar ever did. The God whom I worship, and the gospel that I proclaim, stands in stark contrast to the worship of wealth and human power that lies at the center of American society. The “upside down Kingdom” of Jesus reveals the weakest to be the strongest and that those who put themselves first may find themselves left out. The good news of Jesus represents a direct challenge to the core assumptions of this present age. This is scary stuff. It is not accident that the rulers and authorities of ancient Rome brutally tortured and executed Jesus, and continued to persecute Jesus’ followers for centuries. When we directly confront the foundations of Empire, we should expect a response that is in keeping with Empire’s way of doing business. Despite all of the persecution, torture and summary executions that the early Christians faced, the early Church did not condemn the whole of Greco-Roman society. On the contrary, the early Christian community made great efforts to communicate the good news in terms that would speak clearly to the wide variety of cultures and experiences that made up the ancient world. Rather than insisting that everyone become a Jew, the disciples proclaimed a new way that was open to all people, regardless of their ethnic or cultural affiliation. As Paul explained in his letter to the Ephesians, the mission of the early Church was to proclaim a gospel that reconciled women and men from all sorts of backgrounds, whether Jew or Greek, uniting them into one new humanity. This new spiritual community did not have the effect of eliminating cultural differences; on the contrary, the cultural diversity of the ancient world remained, but it was placed on a new foundation. Rather than worshiping the wealth and power of Caesar, all the nations of the earth would now join in worshiping the one true God! How can I share the good news in ways that affirm the diversity of culture, language, identity and experience that I encounter in my city? How can I lift up that which is good in my cosmopolitan society, while at the same time challenging the harmful foundation of greed and pride that has taken us captive? How can I model and preach a gospel that, rather than eliminating our differences, places all of us on a new foundation in Jesus? I recently read Christianity After Religion by Diana Butler Bass, in which she argues that the Church in the United States is losing its hold on the imagination of its people. She offers evidence that mainstream Christianity in America is entering into a period of sharp decline, mirroring the decay of Christendom in Western Europe in the last century. Yet, while she has dire predictions about the future of the established Church, she is optimistic about faith in America. 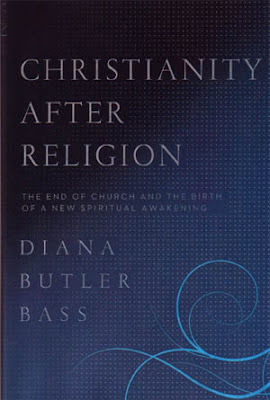 Bass notes that while increasing numbers of Americans shy away from the word “religion,” many identify themselves as being “spiritual.” “Spirituality,” she argues, has become a code word for experiential religion, based on the direct, practical and transformative experience of God. “Religion,” on the other hand, serves as a label for all of the institutional baggage and heavy-handed dogma that the Christian community has developed over the course of recent centuries. Bass points out that in recent centuries the Church has operated primarily on the basis of accepting propositional statements (e.g. “Jesus is fully human and fully divine”). That is, to belong to the Christian community, you must first believe certain things aboutJesus. A transformed life was beneficial, of course, but the act of accepting certain theological statements was the most essential element of Christian identity. Bass is convinced that this emphasis on right belief no longer works in our present cultural context. Instead, she argues that the health of the Church depends on reversing the established dynamic of “believing, behaving, belonging.” While propositional beliefs about God and Jesus are ultimately essential, they are not the first order of business. For this generation, the hierarchy of needs is different. This was certainly my own experience. When I first committed to nurturing my relationship with God, my top priority was finding a community to belong to. I was beginning to trust in God, but I did not have any specific beliefs about Jesus, and was skeptical of Christianity in general (as many in my generation are). Fortunately, I found a Quaker community that was able to love and accept me as I was. Though I had lots of hang-ups, and my theology was still a jumbled mess, they were patient with me and did not jump in to correct me. Instead, my newfound community encouraged me to study the Quaker tradition, and to dedicate myself to the practices of waiting worship, discernment and personal prayer. 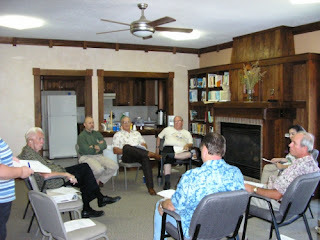 These practices were a gateway for me into discovering the intellectual contours of my faith. As I waited in the silence, studied the tradition, learned to pray and began to read the Scriptures, my life began to change – and so did my ideas about God! I started learning about who Jesus is, allowing him to speak to me through the Scriptures and through his Spirit. No one was forcing me to adopt a party line, yet as I continued to engage in prayer and study, I found myself growing into a deeper appreciation for orthodox Christian faith. Just as Diana Butler Bass argues, for me the traditional pattern was reversed: Instead of “believing, behaving, belonging,” I first found belonging in a supportive spiritual community. There, I learned practices that taught me how to “behave.” Finally, this supportive community and the spiritual practices they taught me drew me into an authentic set of beliefs, grounded in both my own personal experience and in Scripture. Ironically, now that I have gone through this process, I often forget how I got here. It is easy for me to get into a mindset that demands belief first, rather than seeing propositional belief as the product of a journey through belonging and practice. This tendency to insist on belief up front is deeply ingrained in the culture of the Christian community, and it will take real effort on our part to learn to reverse the equation. Here in our context at Capitol Hill Friends, this might look like an emphasis on naming spiritual gifts and nurturing spiritual practices. By acknowledging the spiritual gifts that God has given to our community, we nurture belonging. A person does not have to believe that Jesus is divine before we can recognize that God has given that person a gift of healing, or administration, or knowledge. And by naming these gifts, we can invite each one, no matter where they are at in their journey, to walk deeper on the path of faith. We can provide resources for adopting spiritual practices that help sustain us in our personal lives, and in the work that we do in the world. At the end of the day, I hope that this combination of unconditional acceptance and the teaching of spiritual practices will lead to deeply rooted faith. In the context of loving community and time-tested spiritual practices, we can open up space in our lives to discover the Truth that we find expressed in Scripture and our tradition as Quakers. On this path of “belonging, behaving, believing,” the acceptance of certain theological concepts will represent the culmination of a long process of engagement and growth, rather than the starting point. How does this resonate with you? What is your own experience of belief, behavior (practice) and belonging? How do you think that we can do a better job of inviting seekers into our Christian communities, teaching spiritual practices, and encouraging an ever-deepening engagement with our shared faith? Though God calls me for a purpose and promises to walk with me in the Way, God does not promise to ensure my emotional or material comfort. Jesus does not promise that this life of ministry will be pleasant, only that he will accompany me. If I want to be faithful to God’s plan for my life, I must first accept that faithfulness may not look anything like success. The Lord does not protect his faithful ones from suffering, only from corruption. In my experience, one prayer that God answers consistently and immediately is this one: “Lord, humble me.” Help me to set my sights lower, smaller, simpler. Teach me to quit making the ministry about myself – even vicariously through my community. Show me how to be truly surrendered, bearing my cross for the sake of the gospel. Allow me to shed my need to “be somebody” in this world – to accept that I am just an “extra” in this great historical drama. No one needs to know my name. Humble me, Lord. Make me less aware of myself and teach me to attend to the needs of others. Deepen my life of prayer – not to increase my own comfort, but so that I emanate your peace, joy and guileless love to those around me. I have been given many opportunities this month to travel in gospel service to a variety of communities, both among Friends and in the wider ecumenical Church. In all of my travels, I have joined with my brothers and sisters in asking hard questions: As followers of Jesus, how are we called to work for economic justice and the practical liberation of all people? As disciples of the enfleshed Word, how are we to understand our lives as sexual beings? As a people who have been transformed by the love and authority of the Lord Jesus, how do we lead lives that proclaim him – his joy, his power, his peace? The lengthiest trip I took this month was to visit Friends in Pendleton, Indiana. 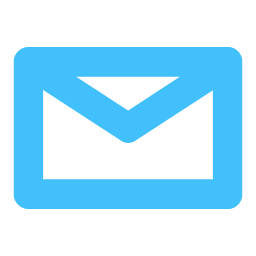 Several months ago, I was contacted by the clerk of Whitewater Quarterly Meeting in Ohio Valley Yearly Meeting, inviting me to speak at their gathering in April. 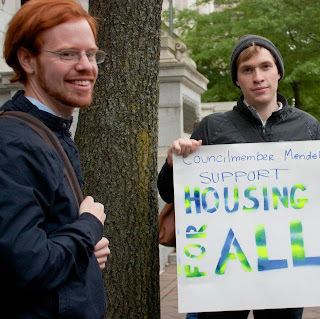 I could speak about whatever God laid on my heart – though he mentioned that Friends would be very interested to hear about my experiences as a Quaker in the Occupy movement. I felt clear to accept the invitation, traveling under a minute from Rockingham Monthly Meeting and Stillwater Quarterly Meeting (Ohio YM). During the afternoon session, I spoke out of the silence, and it was opened to me to speak about God’s call for us to emerge from our addiction to comfort and pride. I invited Friends to embrace the radical worldview of Christ’s Kingdom, which challenges us to engagement in a broken world. Grounding my sermon in Christ’s words to the Church in Laodicea, I felt moved to encourage those present to pursue the passionate commitment and humility that our faith demands. If we open ourselves to the transforming power of the Spirit, we can emerge from lukewarmth and fear, embracing the prophetic faith of Jesus. The word I was given did encounter some resistance from some Friends present. Nevertheless, I was encouraged to see that others received the word with joy. Some were deeply moved by the message, feeling directly addressed by the Lord. 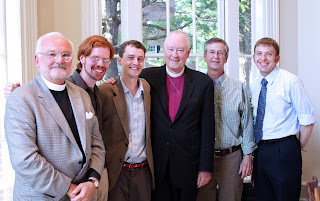 A couple of weeks later, I had another opportunity to speak, this time as part of a panel discussion at Virginia Theological Seminary, one of the premier Episcopal seminaries in North America. I was invited to speak alongside several weighty leaders in the Episcopal Church, including a retired bishop turned activist and the current rector of Trinity Wall Street – a very prominent parish in lower Manhattan. I was thankful for the opportunity to address an assembly of seminary students and professors, representing a significant portion of the present and future leadership in the Episcopal Church. I was able to speak about my experience as a Christian occupier, working for economic justice in the name of Jesus Christ. I felt that the Spirit was present with us in the gathering, and it was opened to me to exhort those present – especially the seminary students – to dare to question the moral assumptions of the present culture, which relies more on laissez-faire capitalist philosophy than on the loving example of our crucified Savior. Though much of the Church has been seduced by these human philosophies, we were reminded that our authentic witness as followers of Jesus will seem like foolishness to the world. The last major trip that I took this month was to a retreat held by Ohio Yearly Meeting on the subject of human sexuality. 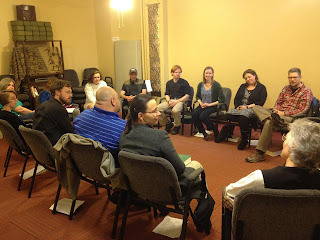 For almost two years now, Friends in Ohio Yearly Meeting have been openly wrestling with our shared understanding of God’s intention for human sexuality, and what this means for us in practical terms as a fellowship. Last summer, the Yearly Meeting directed a committee (which I served on) to organize a gathering where Friends could hold these concerns in the Spirit together, sensing how God might be guiding us. For my part, I was very nervous about this event. This is hard stuff for Friends to talk about, and at times I wondered whether anybody was even going to show up. To my surprise and joy, there were around fifty Friends who traveled from almost every Meeting in the Yearly Meeting to practice shared discernment. This in a Yearly Meeting with an active membership of maybe two hundred! Even more important than the number of people present, the Holy Spirit was there with us. The whole gathering was grounded in worship, and we were able to largely avoid the caustic back-and-forth the so often characterizes conversation around sexuality. Speaking largely arose from a place of vocal ministry or intimate sharing of personal experience, rather than debate. I felt that we emerged from this gathering with a greater sense of love, trust and fellowship – praise God! The biggest single insight that I perceived to emerge from our time together was this: We in Ohio Yearly Meeting have significant areas of unity in our understanding of human sexuality, though there are also major areas of disunity. There was a shared sense that we would do best to proceed in love, examining first those areas where we sensed unity, and gradually working our way into the harder areas, those subjects where there is serious disagreement. Our understandings of homosexuality are, as one Friend put it, “the deep end of the pool.” We know that there is a large range of opinions about the rightness of gay and lesbian relationships, and we will need to proceed tenderly – and deliberately – as we seek the Lord’s will in these matters. I left the gathering with a sense of unity in the process of discernment that we are engaging in together. I felt that despite our serious disagreements on some subjects – particularly our understandings of gay and lesbian relationships – that everyone involved is acting in good faith and seeking the Lord’s will as best they know how. This goes a long way towards reconciliation between individuals, and eventual unity within the Body as a whole. If we can stay humble and grounded in the Spirit, I dare to hope that the Risen Lord will draw us together in one mind and the same love. Back in DC, the work continues. Capitol Hill Friends continues to grow in spiritual depth, as well as in numbers and vitality. I give thanks for the amazing sisters and brothers whom God has sent to help ground this little church in the midst of the city. I continue to pray that the Lord will send more workers into the field of his harvest. My work in the wider community is moving ahead, and I continue to be active in foreclosure resistance with Occupy Our Homes. In all of this, I am learning how to practice self-care and not over-do it. I am finding that a life grounded in prayer and the study of Scripture is essential to the kind of public ministry that God is calling me to, among Friends and in the wider community. We are now a third of the way through May, and it looks to be a beautiful summer. I am so thankful for the many blessings that God has poured out on me and my fellow workers here in DC. Thank you for your support and encouragement. Your prayers have real effects that are felt here. Never doubt it. As a Quaker, it is my conviction that every person – regardless of their status or circumstance – has access to the inward light of Jesus Christ. I confess with the authors of both Oldand NewTestaments that, “the word is very near to [us]; it is in [our] mouth and in [our hearts] for [us] to observe.” Despite all the hurdles that keep us away from God, the living presence of the Holy Spirit draws near, pressing at our hearts and inviting us into the loving embrace of our Savior. At the same time, I am also convinced that the good news needs to be preached. Hearing the gospel story – the life, teaching, death and resurrection of Jesus – has the power to transform us, when we receive it in the light of the Spirit. The inspired preaching of modern day prophetshas the power to call us into deeper relationship with God. In my own experience, God has used other people – living and deceased – to shape my walk. I cannot imagine how I ever could have been saved from the death-dealing worldview of the present order without the faithful witness of so many brothers and sisters. So, which is it? Does God directly inspire and draw us into Christ’s Kingdom without the need of human intermediaries? Or does God work through people who are called to the work of proclamation? As is often the case with the things of the Spirit, the truth seems to be found in the midst of paradox. The above passages, both taken from a letter that Paul wrote to the Christians in Rome, demonstrate the tension between two truthful answers. Yes, God’s witness in the human heart is sufficient for Christ’s sovereign work of grace. And yes, God uses human beings as instruments of grace, mercy and salvation to the world. My take-away from this is two-fold. First, I am convinced that God is in control. In a certain sense, God does not “need” us. Our wrong actions – whether out of willful disobedience or simple ignorance – are never able to foul up God’s long-term purpose for the cosmos. This is deeply reassuring for me. No matter how badly I – or humanity in general – screws up, God will find a way to enact his loving purposes. On the other hand, I am convinced that God’s intention is to use each of us as agents in the holy work of healing the world. How are they to hear without someone to proclaim him? God wants us to share the good news that we have received! God wants to use our lives to proclaim the riches of his glory, through our words and deeds, through our family life and daily work. Amazingly enough, each of us is truly necessary for the work of the Holy Spirit in the world. Though it would seem to us that God does not need us at all, in some mysterious sense we are indispensable! What is your experience of the way God pours out love and salvation? How have you seen God transforming your life and the lives of those around you? How have you made sense of the paradox of God’s work, which needs no intermediaries but yet is so often accomplished through the faithfulness of particular women and men?